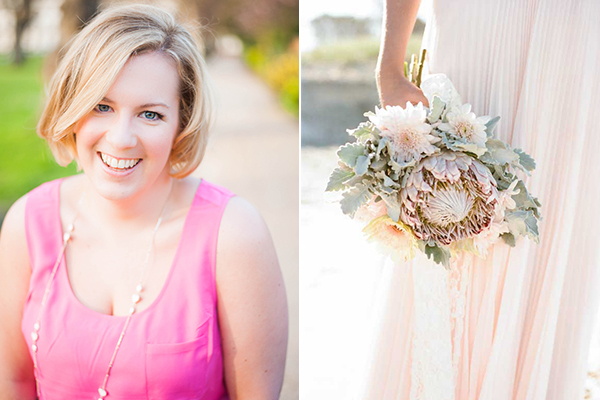 Today on Bloggers Say I Do! 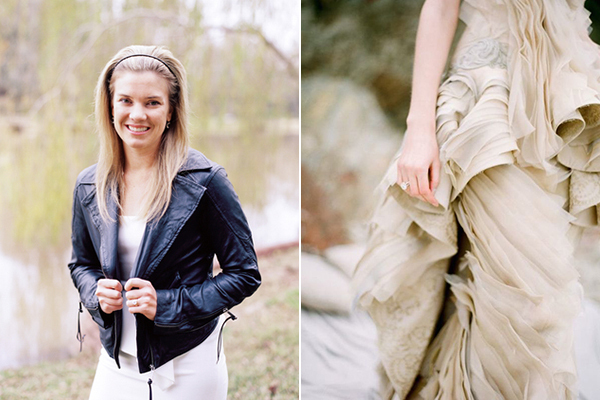 I have the pleasure to feature the re-imagined wedding of the talented wedding blogger Chelsea from Tidewater and Tulle, a wedding blog that has the most stylish inspiration for brides getting married in the Hampton Roads area of Virginia. 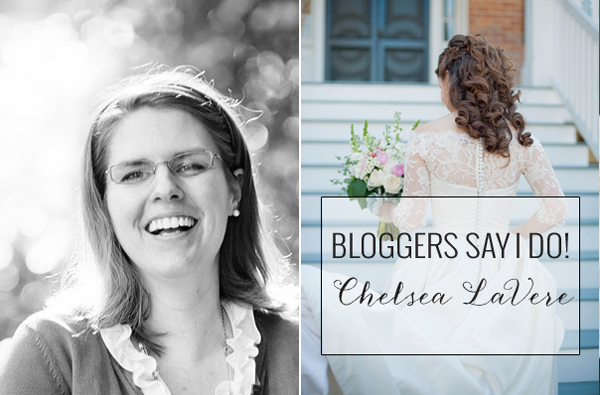 Chelsea, an established local wedding photographer herself, always had a passion in helping brides and grooms find their perfect wedding teams and highlighting incredible local resources through the written word and social media. Once you visit her lovely wedding blog, trust me when I say that you will not be able to stop daydreaming about all the beautiful places to tie the knot! 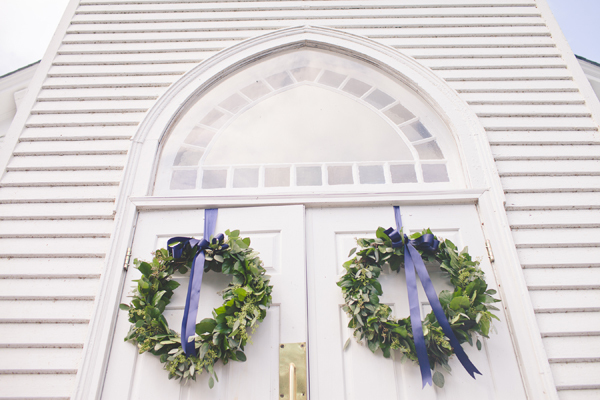 Even though I had my dream wedding an intimate winter celebration in a historic, old world colonial city, I have said that if I were to do it all again, I would want a stylized elopement. Just me and the hubs and a few of our closest friends who also love to travel and make an adventure out of it. 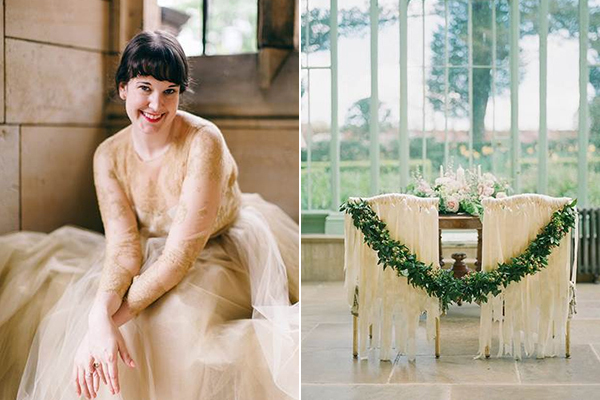 All in the English countryside in the stylings and inspiration of a modern Jane Austen setting. Something relaxed, playful, and lovely. 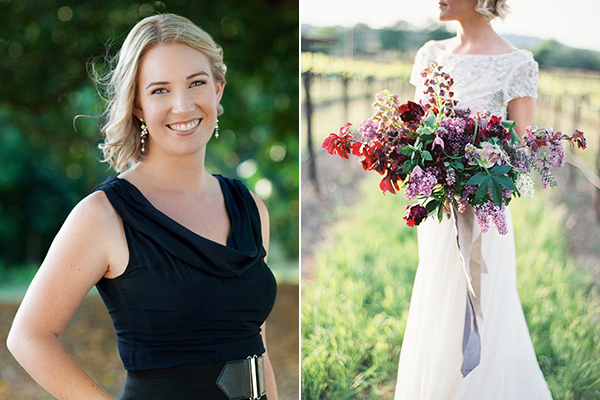 I love jewel tones and would want a fall elopement, so navy blue paired with simple yet lush greenery. I have a few favorite colors, but navy blue (which was also my real wedding’s color) has always been a consistent love of mine. Buttons, lace, and sleeves! When I got married 5 years ago, bridal sleeves were not in vogue, and so I settled on a halter styled gown with a navy blue sash. While it was pretty, my heart has always wanted sleeves. 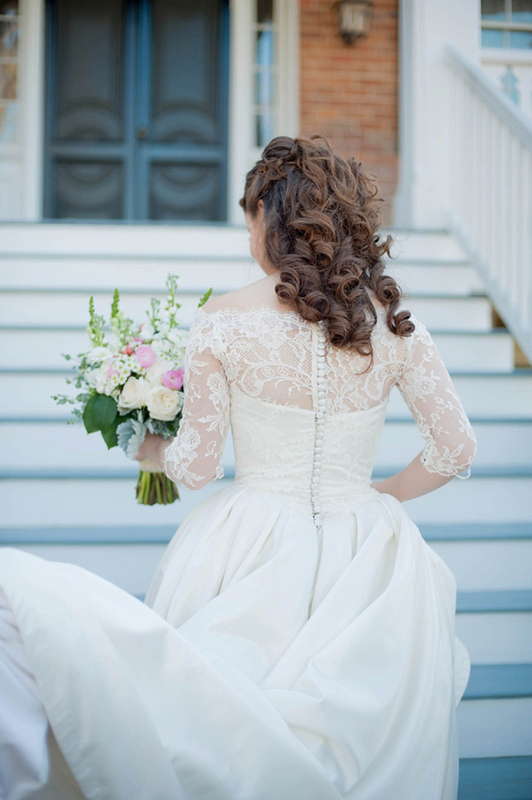 So in this dream wedding of mine, sleeves I will have! Pretty lace three-quartered ones.Since I’m not much of a shoe girl, simple jewel-toned ballet flats would do just fine. I don’t even know where to begin for this one! 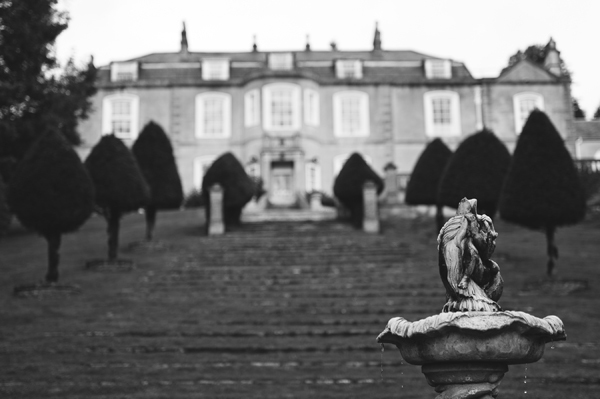 I think I would just faint if we had an elopement at an old world manor in England. I’m not even picky which one! Anyone who knows me knows I have a huge sweet tooth and also Celiac Disease. I love me some cake! 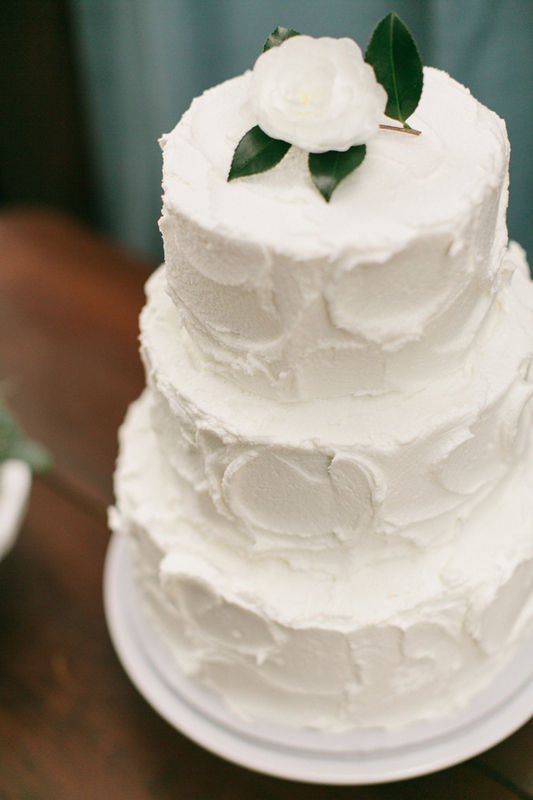 My dream cake is a textured buttercream gluten-free carrot cake. No other decorations except a few simple blooms on top.And if I had my way, I’d also have a gluten-free cookie bar with chocolate chip cookies as the main dish! No wedding favors for me. Like our real wedding favors, we’d donate to charity. 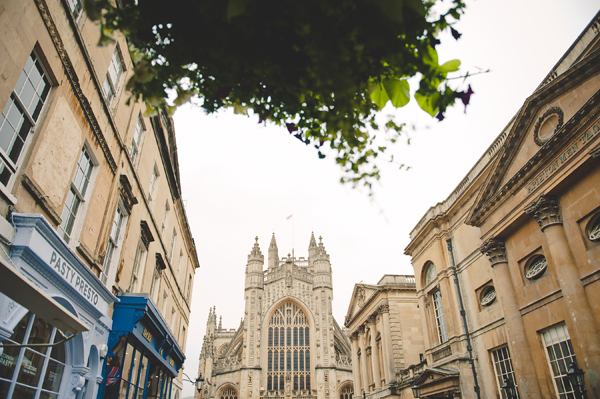 Since we’d only have a few of our closest friends, it would be a full wedding week of traveling to the local sites, eating at some yummy restaurants, and going on tours into the surrounding towns. Very low-key and relaxing. And definitely why I am a pro-elopement! 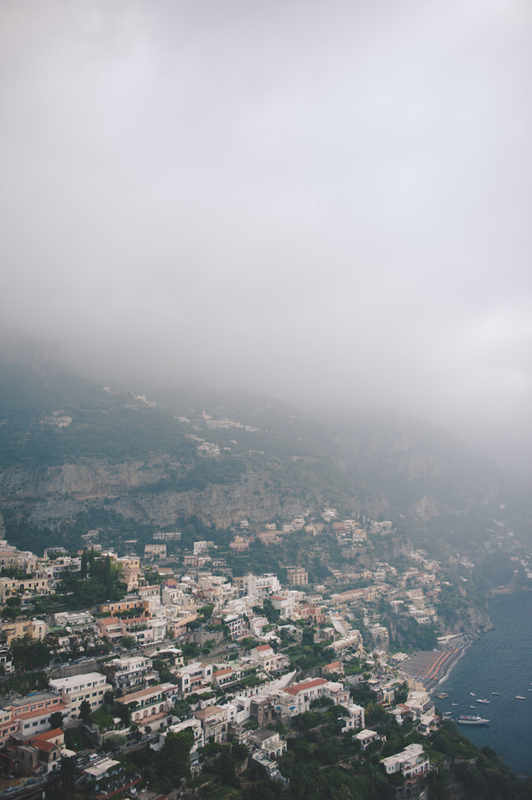 Because my reimagined wedding would already take place in my favorite country, I’d revisit the Amalfi Coast in Italy. To spend more time there, eating some of the best gluten-free pasta we’ve ever had and visit the local lemon groves would be a dream. 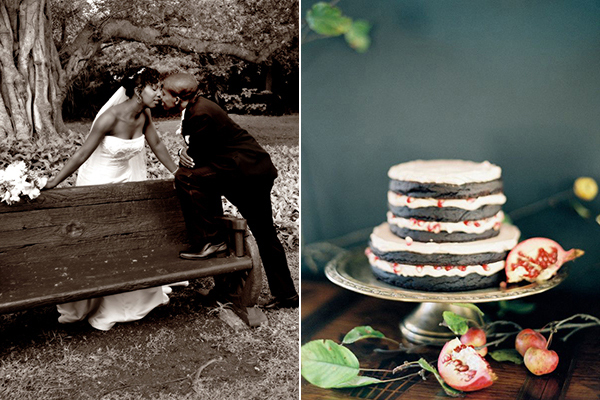 Thank you Chelsea for sharing your thoughts on how you would re-imagine your wedding! 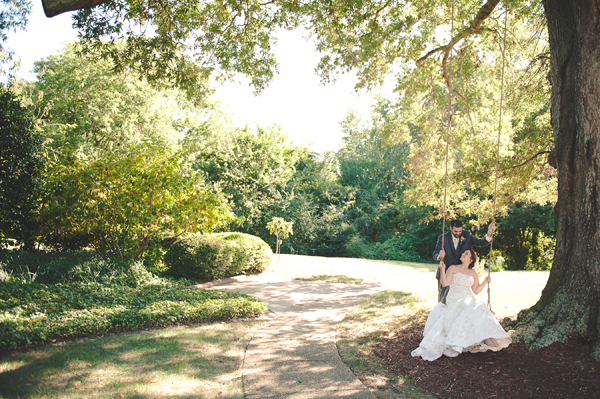 For you more gorgeous weddings inspiration from the beautiful Hampton Roads region of Virginia make sure you stop by her wedding blog, Tidewater and Tulle ! « LOVE4WED & STYLE ME PRETTY!